Halloween would not be complete with out a bowl of chili and some Frito's. 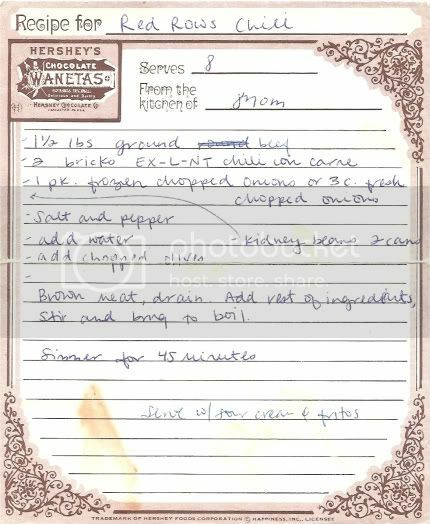 I grew up on this recipe. Why it is called Red Rows Chili, I have no idea. That's just what it is called. Disclaimer: 1- There is nothing healthy or organic about this chili. Its only redeeming quality is that it is damn good. 2- Unless you are close to Mexico XLNT Chili con carne can be hard to find.